Hi All! I am an elementary school principal who has the privilege of opening a brand new school in our district (opens fall of 2018). In hiring a staff, I would like to focus questions on the ISTE Educator Standards. Has anyone done this and/or have other interview questions for educators that would be supportive of finding personnel that have these qualities? I would love some new ideas! Thanks! I have recently conducted interviews for coaching positions and used the ISTE standards as part of the process. I asked the participant in the written portion to take a close look at each standard and then translate into layman's terms what that might look like in the classroom. The candidates were given a link to the ISTE Standards and a few guidelines to construct a presentation. You could adapt that to have the teacher identify what they might already be doing to achieve the standards and if they are not currently addressing them how might they move toward those standards with their students. This would give an opportunity to reflect on their practice and identify areas of growth. It could be new spin on the 'area of weakness' kinds of questions that are standard fair in an interview and only give you a typically rehearsed answer. I was not looking for a 'right' answer but learned a lot through the conversation the followed. I felt it helped me to gain insight into the thought process and how the candidates saw themselves as a learner. @Rod Carnill This is a great suggestion. Too often I find we are interpting these standards for others rather than giving teachers the chance to be creative themselves. Thanks for sharing! @Beth Hamilton, this is a great idea. I never thought about using the ISTE Standards during an interview. @Rod Carnill I like your idea for using the ISTE standards to help candidates identify strengths and weaknesses. Maybe also one about which type of teacher (Leader, Designer, Collaborator, etc) would you seek out as a colleague and why. Great idea Beth! Including ISTE standards for educators as a discussion topic during the interview process should be very insightful as to the educators commitment to the integration of educational technology to support learning and teaching. For those candidates who make it to the next phase of the process, you could have them align the lesson they teach to the standards and have them extrapolate how the ISTE standards aligned lesson exemplified visible learning as the students worked through the activity. Beth, this is a great idea! I love the idea of using the standards as a guide to hiring teachers who are applying the standards in their current teaching practices. Looking at the standards, you could easily sit down and pen several questions for each standard. How will the ISTE standards align with the day-to-day teaching and learning on your campus? I am sure you have an idea of how you will integrate the standards systematically throughout all of the teaching and learning for students and teachers. Looking at it from that angle may serve as a guide to assist with crafting questions also. Similar to @Martha Bowden, I've integrated ISTE standards and other educational frameworks into a practical exam exercise as part of the hiring process and found it to be insightful as a strategy to screen applicants and confirm their familiarity with various standards and frameworks. Best wishes with your hiring process. Love your idea of integrating ISTE standards into interview questions. Learner: It would be worth asking the potential hires how they have built a professional learning network in face-to-face and social media encounters. If a teacher is willing to learn and share the rest will follow. Leader: Ask them how they curate and share their teaching resources. Citizen: Ask them about how they use images, audio, and video in their work? What is their knowledge level of fair use and copyright. This will help them lead students in respecting intellectual property. Designer: Ask them to give you an example where they really felt they and their students used technology to support student learning. for your own purposes, one suggestion I would make is to take some time to review a webinar, Learning First, Technology Second, with Liz Kolb. It is free with your ISTE membership. In the webinar, and book by the same title, Liz shares her Triple E Framework and includes several examples of students using technology. It might be helpful in evaluating their answer. Facilitator: Ask them how they have helped students own their learning goals. Analyst: Ask them to define formative and summative assessment and to give you a few examples of how they use technology to support their analysis of the data. 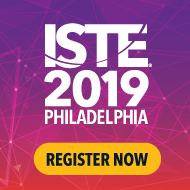 Find out what they may know about ISTE Student and Teacher Standards. There are so many different questions you could ask, but you have to think about which are most important to you. Like I said, if you seem to have a collaborative individual who is willing to learn a lot can follow. What have you been thinking about asking so far? 1. How might you help students develop digital citizenship skills in your classroom? 2. As a professional, what are key components to your professional growth? 3. What roll do you see technology playing in student learning? 4. How do you facilitate and inspire student learning? I think the responses to these questions would be informative to know how the applicants experiences align with the standards. I, too, have used the ISTE standards as part of the interview process. Similar to what was stated earlier, I asked the interviewee to take a close look at a couple of the standard and then translate into layman's terms what that might look like in the classroom. The candidates were given a link to the ISTE Standards before the interview and were told these are integral to their job responsibilities. This allows you to know what they know, if they align with the school vision, and their thought process skills. This would also give them an opportunity to reflect on their practice and identify areas of growth/PD. what a great opportunity to build a solid team! thanks for asking such an interesting question! As a teacher-educator, and former K-8 principal, I think you are approaching the hiring process with vision. With the new ISTE educator standards, there's a lot of talk in teacher prep about the skill sets our teacher candidates need for skilled technology application-- (and the skills Teacher Ed. faculty need!). We are discussing ideas about how to assess teacher candidate knowledge at both the pre and inservice levels and there are no easy answers. (although the advice on this thread is outstanding!) but many of our grad candidates come to us without a depth of knowledge in instructional technologies. 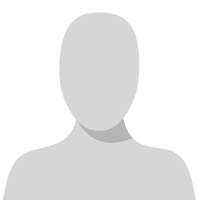 In my work as director of our learning technologies programs, I've been wondering how we can assess candidate knowledge in the standards -- and lately I've been considering the idea of candidate dispositions rather than content knowledge. For example, a teacher may have the mind set to learn new ways of solving instructional problems, but not specific knowledge of technologies (but the willingness to learn). Also, because technology-use in schools varies so much -- understanding candidates' content knowledge can be challenging. ​thank you to everyone who gave their insight and ideas. I will be now sitting down and looking at your ideas and examples and creating a bank of questions to take to my HR department to review for our hiring process! I love the idea of using the ISTE standards in interviews. This is something that I am now going to investigate for the department I work with. I think it would be a great idea to provide the standards ahead of time, making sure to include that implementing the standards is an expectation of the job. I really like the idea that someone proposed earlier in the discussion of having the applicant translate the standards into layman's terms. As I've studied the standards in the past, taking this step has really helped me to gain a deeper understanding. After having the applicant review the standards, I might ask them to rate themselves on how they've implemented them in the past (ex: proficient, meets, exceeds). Then, I would ask them how they might achieve higher levels of implementation in the future. I've enjoyed reading everyone's post for this discussion. Thank you, Beth for beginning such a great discussion post! I ask a question about professional development. :How do you keep up with the changing trends in education? What formal and informal ways do you get information about the latest trends in teaching and learning, including technology? How do you get new ideas for ways to teach your students? I also would ask: How do you encourage your students to be responsible participants in the digital world? Finally: How do you encourage students to take responsibility for their learning goals?